Laureus Academy Member and South African rugby legend Morné du Plessis joined a select group of players and administrators recognised for their contribution to the sport of rugby as he was inducted into the World Rugby Hall of Fame on 20 September. On the 20th anniversary of South Africa’s iconic 1995 Rugby World Cup win, Morné joined a host of former players and administrators for a ceremony welcoming them into the Hall of Fame prior to the New Zealand v Argentina fixture at Wembley Stadium. Morné, who represented Western Province as a player, was first selected as Springbok Number 8 in 1971 and went on to play 22 Test matches for his country. As captain, his record leading the Springboks is second to none; 15 matches, 12 victories. After he hung up his boots, Morné took up a role as Team Manager for the Springboks ahead of the 1995 Rugby World Cup. Here he played a central role in the management team who not only achieved glory in the tournament but also united a nation. Most recently, Morné’s involvement in sport has been as Chairman of the Laureus Sport for Good Foundation South Africa, which spreads the Laureus message of using sport as a tool for social change amongst young people across South Africa. Reflecting upon his induction into the World Rugby Hall of Fame, Morné said: “I’m honoured and privileged, it’s not something that I would have set out to achieve but it’s great to be among so many legends of our sport. “Looking back at 1995, the defining moment of sport in South Africa, we recently had a reunion for everyone involved in that special win and it was amazing for everyone to watch the final back. Many of them were re-watching it for the first time, it was a wonderful experience and it certainly lived up to our expectations. 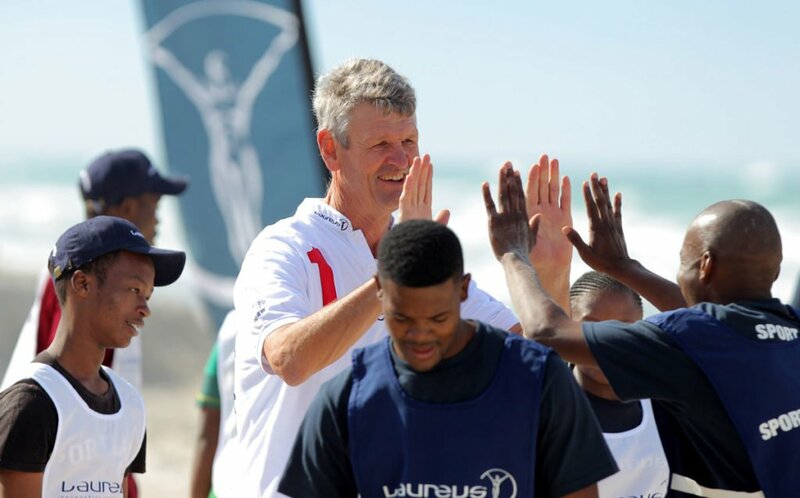 The Laureus Sport for Good Foundation uses the power of sports such as rugby to address social challenges through a worldwide programme of sports related community development initiatives. Laureus supports more than 150 projects worldwide and since its inception in 2000 has raised over €85 million for projects which have improved the lives of millions of young people.